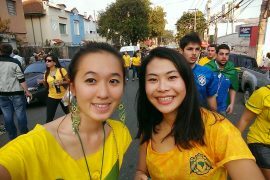 Through Foreigner Eyes With Lianne from liannebronzo.com! Hello from the melting Brasil! This month for our Through Foreigner Eyes series, we will be interviewing Lianne from liannebronzo.com, a Korean American who decided to go back to Korea to learn more about her origins and the culture of her home country. Tell us a little bit about yourself, who are you, where are you from, where are you living now, etc? My name is Lianne. I was born in Korea, but adopted to an American family when I was a baby. I didn’t know much of anything about Korea growing up. In fact, I rejected my “Asianness” and usually associated myself with white people until I became curious about my background in university. Upon graduation in 2010, I decided to take a break from workaholicism and travel. Let’s just say I never stayed the same. 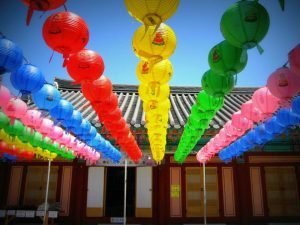 In 2012, I moved to Korea to experience life abroad, but also to reunite and foster therelationship with my birth family, whom I was able to reconnect with that year. 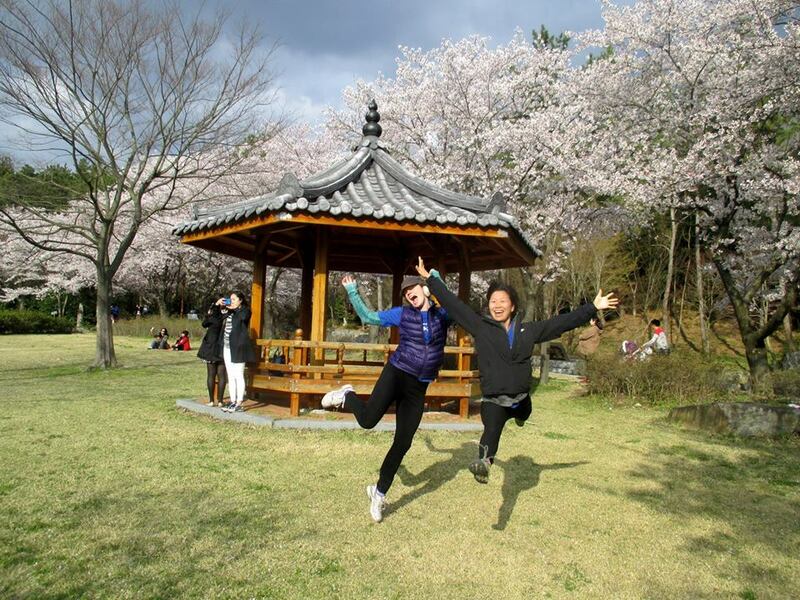 I taught English in Gwangju for three years and have since lived in Australia and Japan as well as backpacked through Asia for the past two years after leaving Korea. I was living in Tokyo, Japan, until February but then moved to Zambia in with the U.S. Peace Corps. What brought you to Gwangju? 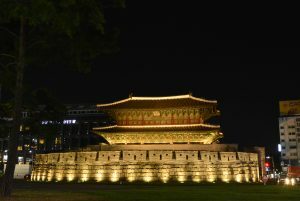 As mentioned earlier, I first visited Korea in 2010. 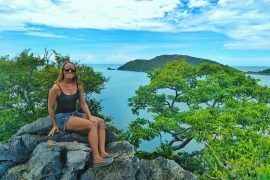 During my month there, I met many English teachers and learned about the world of the expat life, and it sparked my interest to go overseas to teach before going to graduate school. It wasn’t until August 2012 that I actually moved to Korea. Since I was able to get in touch with my birth family, it served as a motivating factor for me to try living there. With EPIK, you don’t get to choose where you live. I was randomly placed there. If it were up to me at the time, I probably would have chosen Busan because it is a beautiful city, but in retrospect, I am so glad to have gotten placed in Gwangju! I wouldn’t have it any other way. What were your expectations before arriving in this city? I thought that it would be a small city, perhaps even sort of countryside. When I looked around my neighborhood on Google maps, there weren’t many listings at all, so I thought I would be living in a quiet area. Upon moving into my apartment, I was pleased to find out that my neighborhood was bustling! There are daily markets where grandmothers sell fresh produce on the street, lots of kids running around because it is a family-friendly neighborhood, several cute cafes, plenty of parks, etc. 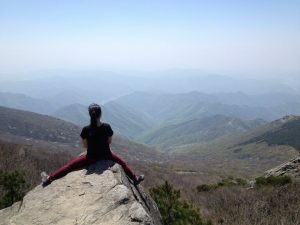 The local buses took me anywhere I wanted within the city – the vibrant university areas, the Mudeungsan National Park for hiking, downtown for shopping and those late nights out with friends, etc. Gwangju is actually thriving with activity and events; it is not a country town at all. The surrounding areas, however, are rural, so it was nice to escape the city on weekends. Did you have any cultural shock? What was that? – Hospital patients walk around the neighborhood in a hospital gown and sometimes with an IV attached. – Fruit trucks go around neighborhoods with loud speakers announcing watermelon sales. The sound was alarming at first when I didn’t understand Korean; I thought the announcements were about North Korea! – I worked in a public school where I wasn’t allowed to wear my shoes. So when I arrived to school, I put on some comfortable slippers. I ended up loving this practice and it was difficult to adjust to teaching in regular shoes. – Sharing food with everyone at the table. Korean food is served family style, so food is put oin the middle and everyone digs on. At first, it was unsettling to dip my spoon into a soup bowl that everyone else dipped into, but I got over it after a while. 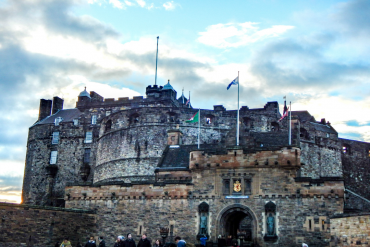 What’s your favorite historical or cultural spot nearby? 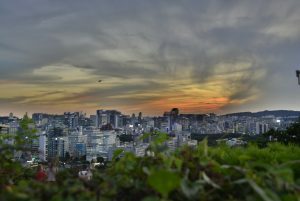 Gwangju is also known for its vibrant art scene. The Gwangju Design Biennale is an art event that happens every two years. Even when it’s not going on, be sure to visit the park for a picnic. It’s also equipped with the Folk Museum and the Art Museum. I should also mention the gigantic Asian Culture Complex that recently was completed in downtown Gwangju. YOU MIGHT ALSO LIKE Through Foreigner Eyes With Miranda from Miranda's Muses! 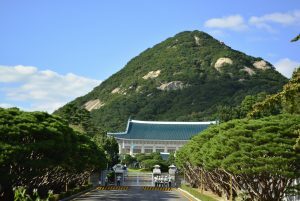 As far as historical spots, Gwangju is known for the May 18 uprising, a horrific incident in which hundreds of people who were demonstrating against the government – many of whom were students – were killed. I recommend learning more by visiting the May 18 monument and museum, which is informative and well-made. What would you miss the most if you moved away? I left Korea two years ago and have since been traveling and living around Asia and Australia. I miss Korea SO MUCH, especially the food; I can’t get enough of it: I could eat spicy stews and pungent kimchi every day! I also miss the international community. Everyone knew each other and there were plenty of activities and clubs to keep busy and continually be learning. I miss that strong sense of community in Gwangju dearly, but most of my friends have since left and are scattered all over the world. I recently visited for a week and it was glorious. 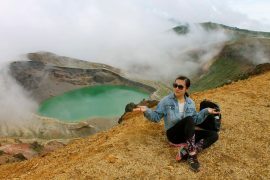 During my three weeks in Bali, I couldn’t enjoy the island because I just kept longing for my time in Korea! If you could add anything from USA in Korea, what would it be? Korea is an underrated travel destination. China and Japan see far more visitors than Korea, so Korea still feels raw and authentic. The culture, food, and language are quite unique and shouldn’t be placed in the same box as Japanese nor Chinese culture. Travelers would be pleased to find that the cost of travel is much more affordable than Japan (but not as cheap as China). 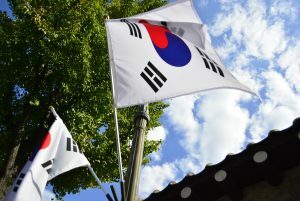 Whether you want to spend your days hiking, hanging out on islands and beaches, shopping, partying, etc., Korea has it all! Are you an expat that wish to share with us your opinions about your new home? Send an email to worldbyisa@gmail.com with the subject “Through Foreigner Eyes”.